The BBC has an enviable list of creative assets that it licenses to other media groups, toy companies, apparel and clothing manufacturers worldwide. Two of the most recognised brands are Top Gear & Doctor Who. 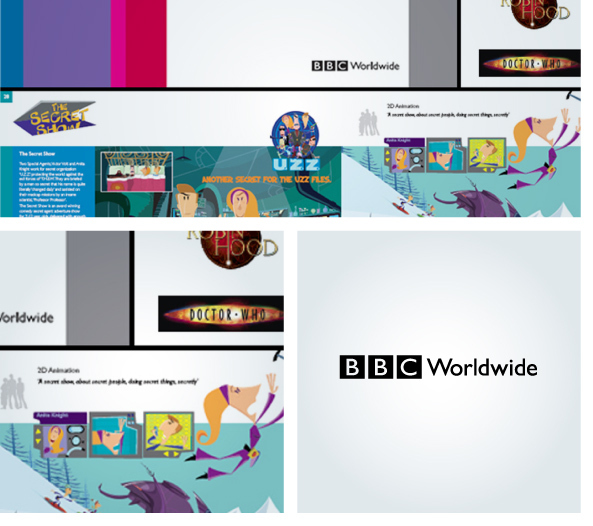 To improve the licensing opportunities, BBC Worldwide commissioned a new Licensing Handbook to showcase each title in a highly creative, visually compelling design. More than a simple showcase, the handbook needed to explain the different licensing opportunities available for each brand and where they were available geographically. A fresh, clean approach was taken with a wide-format layout and new iconography made the opportunities visually stand out from the text. The handbook included a carefully planned index that worked both alphabetically and by licencing type. Finally, an e-version of the handbook was also developed for digital distribution and produced in five different languages.